Circus-themed mini golf set. 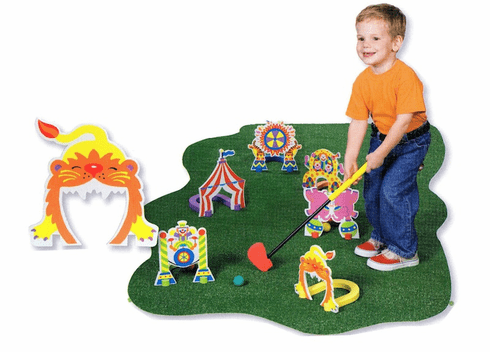 Includes 4 balls, 2 foam golf clubs and 6 fun "holes" made of soft, safe foam. Carry-along bag with shoulder strap. Ages 3+.